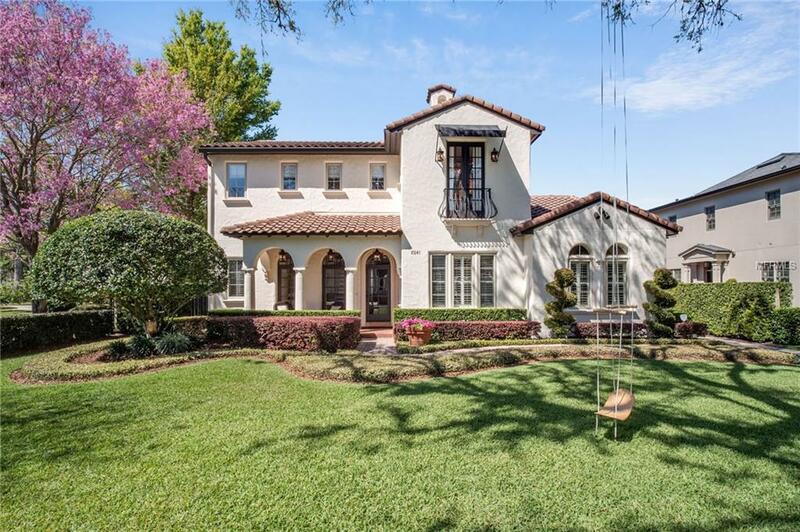 STUNNING, SPECTACULAR CLASSIC SPANISH COLONIAL REVIVAL HOME IN THE HEART OF PRIME WINTER PARK AND THE VIA'S!!! This four bedroom, three and one half bath home exudes understated elegance and has incredible attention to detail. The perfect floor plan features great open spaces in both the living and dining rooms and the huge open kitchen and family room. The remodeled kitchen is a chefs delight with butler's pantry and a recently added and over-sized custom island with a five burner gas Bosch cook top. All counters are quartzite in a color palette that will please the most discerning buyers... there is also a hidden coffee and espresso bar in the breakfast area! The downstairs master suite is truly a retreat with a striking master bath renovation featuring dual vanities with under mount sinks, a spa tub and separate walk-in shower. The master overlooks the pool and opens to the lanai. The dedicated office completes the downstairs with over-sized saltillo tile- the balance of the flooring downstairs is hardwood. The upstairs boasts 3 additional guest bedrooms and two baths plus a bonus room. In addition to all of this great living space, there is also a large studio with private bath above the garage and it has a separate entrance! French doors open from the back of the home to the lanai/pool area-it is a beautifully landscaped oasis and entertainer's delight. The gated drive leads to a rear entry garage. Classic architecture, perfect location and in a highly rated school district-what more can you ask for?